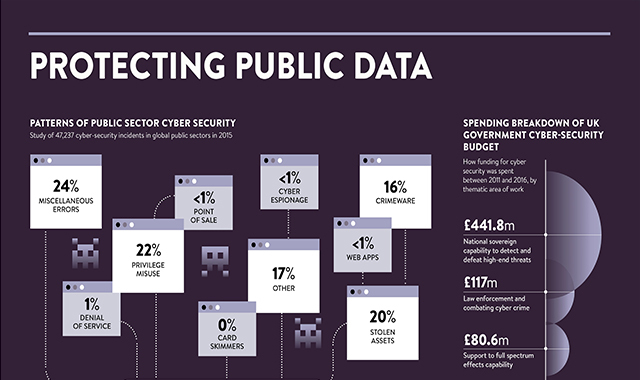 Protecting public data #infographic ~ Visualistan '+g+"
This infographic, published in The Public Sector Technology Special Report, reveals how the UK government is protecting public data. The graphic highlights that £1.9 billion has been allocated to defending UK public sector systems and infrastructure between 2016 and 2021. Meanwhile, the graphic also reveals the number of data breaches by government department between 2014 and 2015, and the breakdown of how the UK government spends its cyber-security budget.